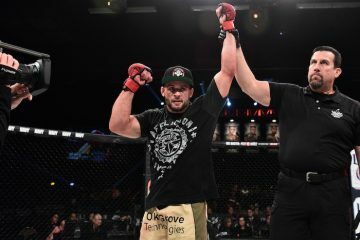 Bellator MMA announced on Friday afternoon that they have signed Bubba Jenkins to a long-term promotional agreement and he will make hi debut with the organization this summer. Jenkins will not be thrown into a tournament immediately as he will be given a number of fights before being placed into a tournament. Jenkins (3-0) began his college wrestling career at Penn State and transferred to Arizona State where he won the NCAA National Championship at 157 pounds in 2011. He made his mixed martial arts debut in late 2011 and all of his victories have come by submission in the first round. Stay tuned to TheMMAReport.com for updates on who Jenkins will face in his Bellator debut.